A romantic song from movie Loveshhuda is recreated by Baba Kahn Culture Shock and sung by Jai Matt. 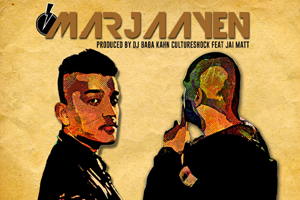 Features: Baba Kahn Culture Shock, Jai Matt. The video of this song is available on YouTube at the official channel Tips Official. This video is of 2 minutes 59 seconds duration. Lyrics of "Mar Jaayen (Remix)"
Lyrics in Hindi (Unicode) of "मर जाए (रीमिक्स)"